Long before making his mark in the Ultimate Fighting Championship (UFC), Chris Weidman had dreams of playing hockey professionally. 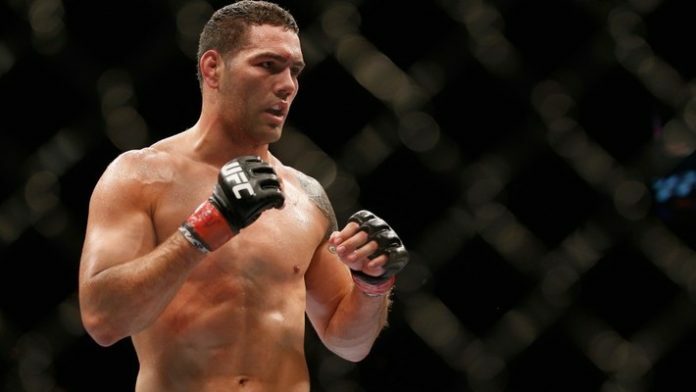 Weidman is currently on the UFC roster and has even captured middleweight gold during his time with the promotion. While he has been in a rough stretch going 1-4 in his last five outings, no one can take away what he’s accomplished thus far. There may also be time for the “All American” to bounce back. “When I was deciding if I was going to do mixed martial arts, I had just tried out for the 2008 Olympics for wrestling. But I got injured before the trials and I was at a crossroads whether to start MMA or do the wrestling world teams in between and then try out for the Olympics in 2012. I had then just met an Islanders players out somewhere and it sparked a memory. I haven’t played hockey since 6th grade, but I remembered that I was really good at it. Weidman’s last bout was back in Nov. 2018. He suffered a knockout loss to Jacare Souza. Weidman underwent neck surgery earlier this year and a time frame on his return to the Octagon is unknown. Ben Askren finally got his UFC wish. But what will success look like?